Art Sale: all pieces between $55 – $400! It’s about that time. 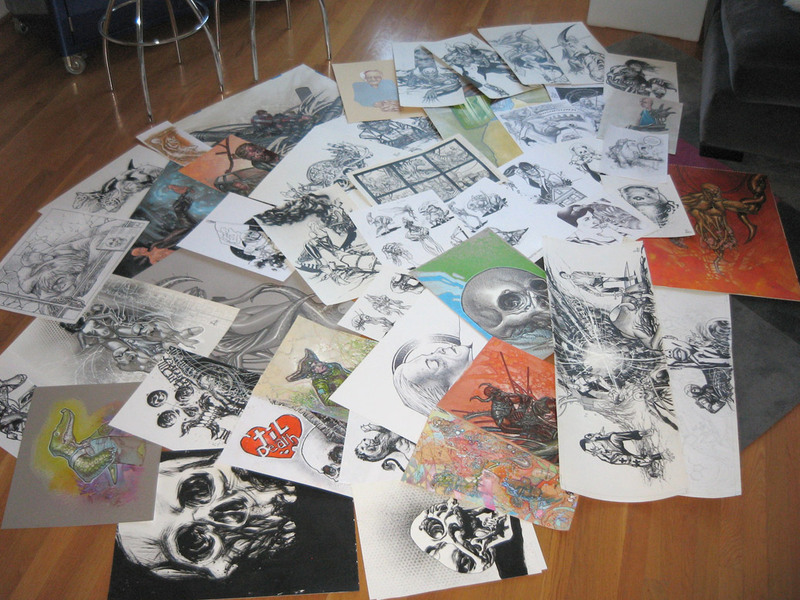 Time to clean out the studio a little bit and sell some pieces that everyone can afford. I just uploaded over 50 works for sale. There’s a little something for everyone who is a fan of my work. Follow this link and see for yourself… Happy bidding! I’m doing something a little different today. I’m auctioning off my latest drawing on eBay with all proceeds going to a chimpanzee… Bubbles. This was created last night, after hearing of Michael Jackson’s passing. My love for chimpanzees made me sit down and draw this (while listening to Michael’s music, of course). All proceeds go directly to supporting Bubbles. Michael Jackson owned Bubbles for years and now he lives in a sanctuary in Florida.